I absolutely love paisley. I think that is is timeless pattern that can be done really bold or subtly in clothing or as an accent in home décor. Paisley has been used as a pattern on clothing for centuries, mainly in shawls. Today the pattern is still popular in home décor and fashion. Jenna Davis, an interior design consultant at Ethan Allen in Calgary, says that paisley is still very popular. She recommends paisley as a fabric choice to her clients. Davis says that she would only advise her clients to use the pattern in small doses, because it is such a strong floral pattern. Using paisley as a focal point is important, Davis says, and adds that it doesn’t compete well with other floral patterns but can work well with more geometric patterns. 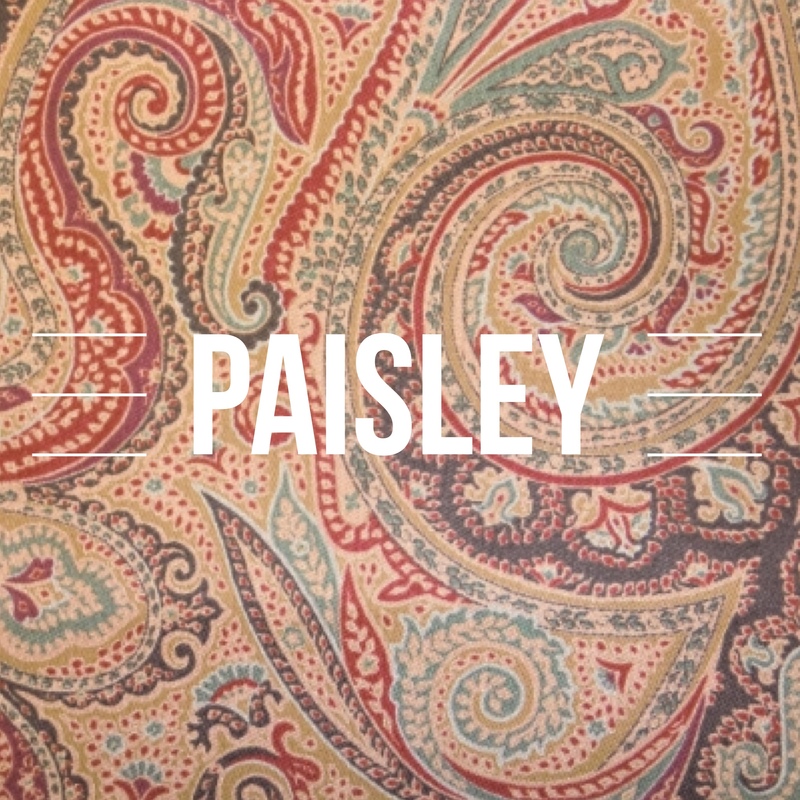 Patricia Newson, a Calgary resident who loves to travel, likes the timeless factor of paisley. She still wears a paisley scarf that she bought on a trip to India in 1985, she says in an email. “The variety and blend of colours can give paisley a variety that can be lively, or rich and subdued.” Newson is looking at using paisley in some drapery, though she doesn’t currently have it in her home. Trends in paisley are also seen in fashion today. 1. Accents of paisley Use paisley in small doses such as in accent pillows or throws, one chair, or drapery. Too much will be overpowering and paisley doesn’t compete well with other floral patterns. 2. Make paisley the focal point Use it in a chair or larger piece, and then use other more subdued or geometric patterns that don’t stand out as much. 3. Modern décor Use larger, bolder paisley in modern décor. 4. Don’t use too much Use some paisley but be careful when adding multiple paisley pieces. It shouldn’t overwhelm the room.